How to convert XviD to AVI with XviD to AVI converter? Xilisoft Xvid to AVI Converter is perfect tool to convert XviD to AVI, and convert nearly all HD/SD video and audio formats, and convert videos and audios to play on iPad, iPod, iPhone, PSP, PS3, Xbox, mobile phone, MP4 players, Google phones. Download the XviD to AVI Converter now, install and follow the steps to complete the task. Tip2: Many options for you to choose. The "Recent" option will record your recent using automatically and it is convenient to be used afterward. 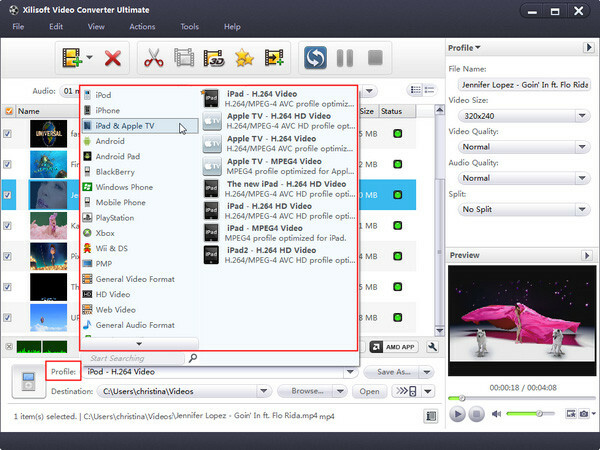 More info you can visit: XviD to AVI converter. Xilisoft Video Converter is multifunctional and easy-to-use software which can not only help you convert among popular videos, especially for converting XviD to AVI, but also can edit video effects and so on.